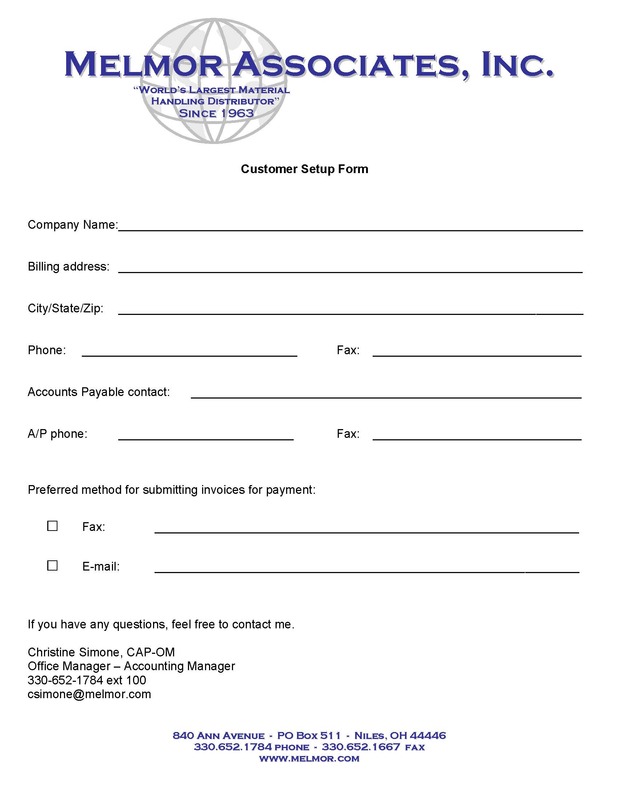 New Accounts - Melmor Associates, Inc. NOTE: Effective 9/15/2018 - All credit card orders will include a 3% processing fee. 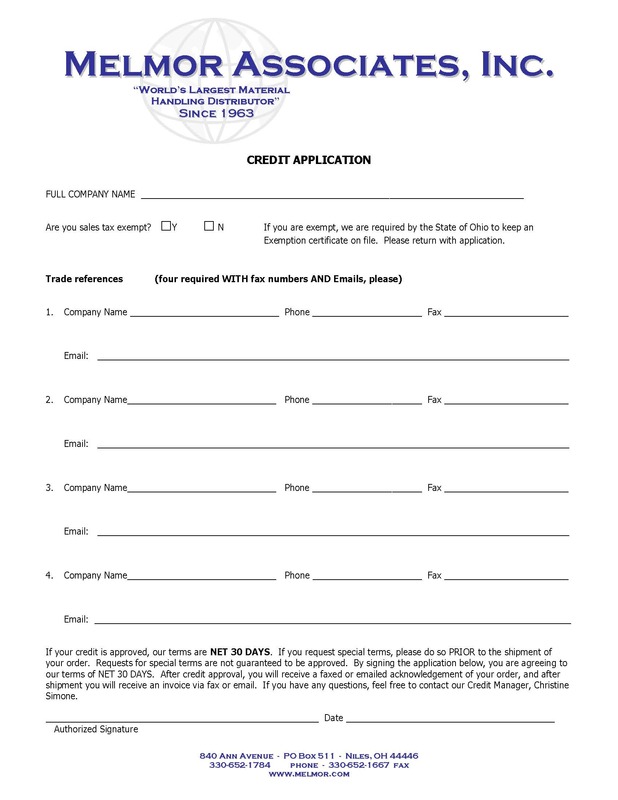 Request an open account by downloading these account forms HERE. 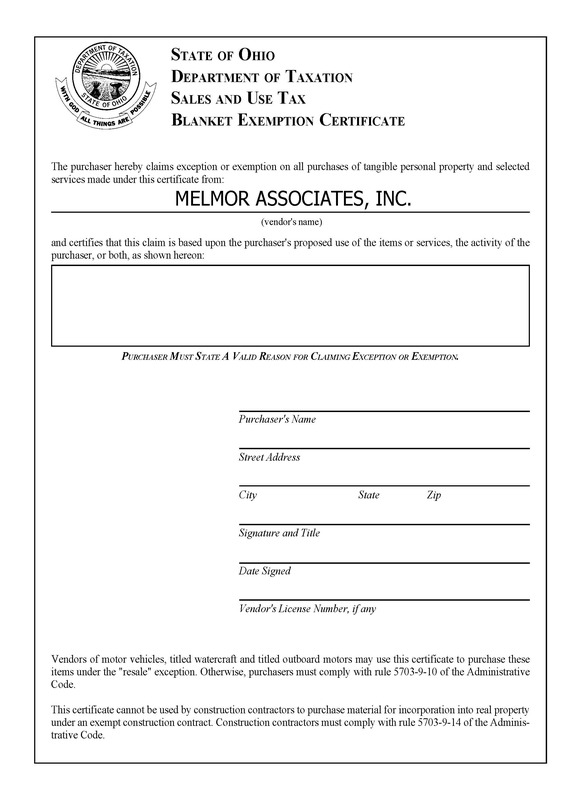 Download the exemption certificate HERE. Please complete them and forward them to accounting@melmor.com. NOTE: All forms MUST be completed and forwarded to accounting@melmor.com. We do not guarantee approval of open accounts. Our terms are Net 30 Days. To request alternate terms, discuss this with your sales person when placing your order. Payment may be made with a company check, ACH or wire transfer, or we accept Visa, Mastercard, American Express, Discover, or PayPal. ​Questions? Contact Christine at accounting@melmor.com.